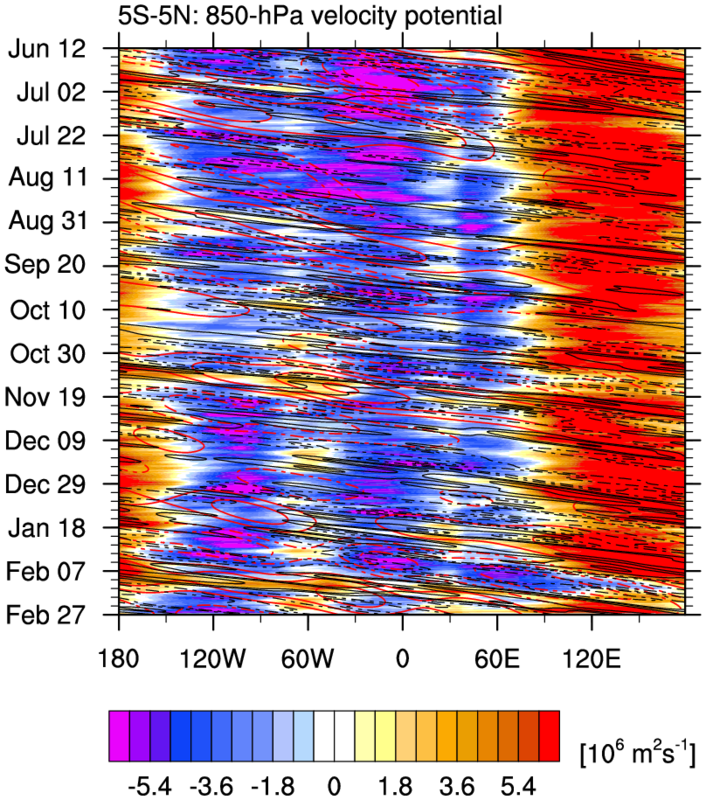 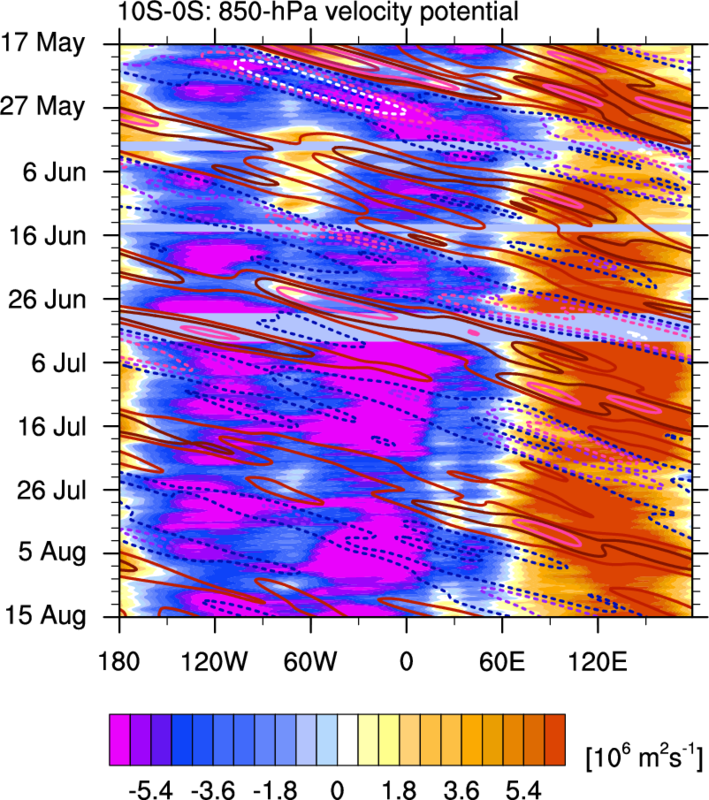 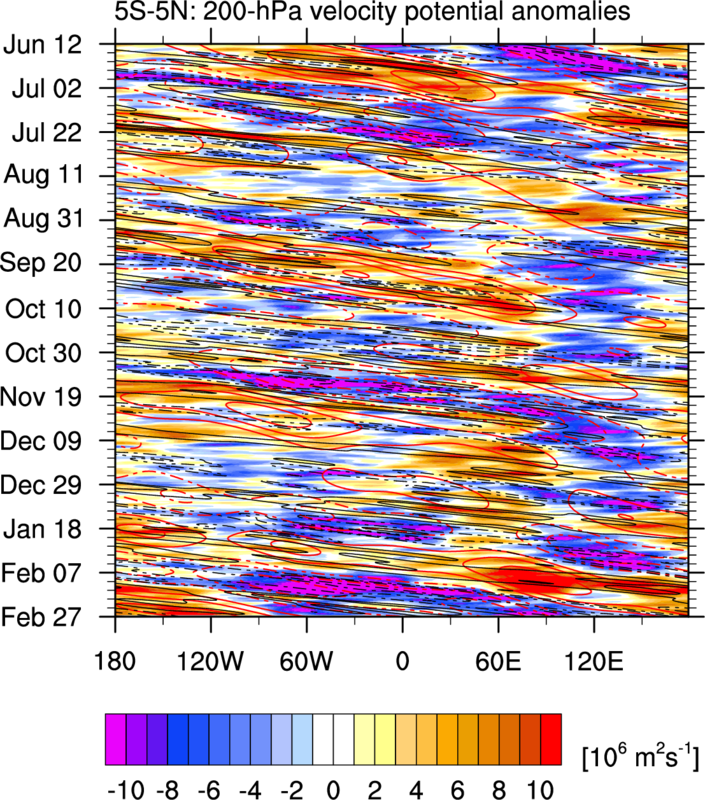 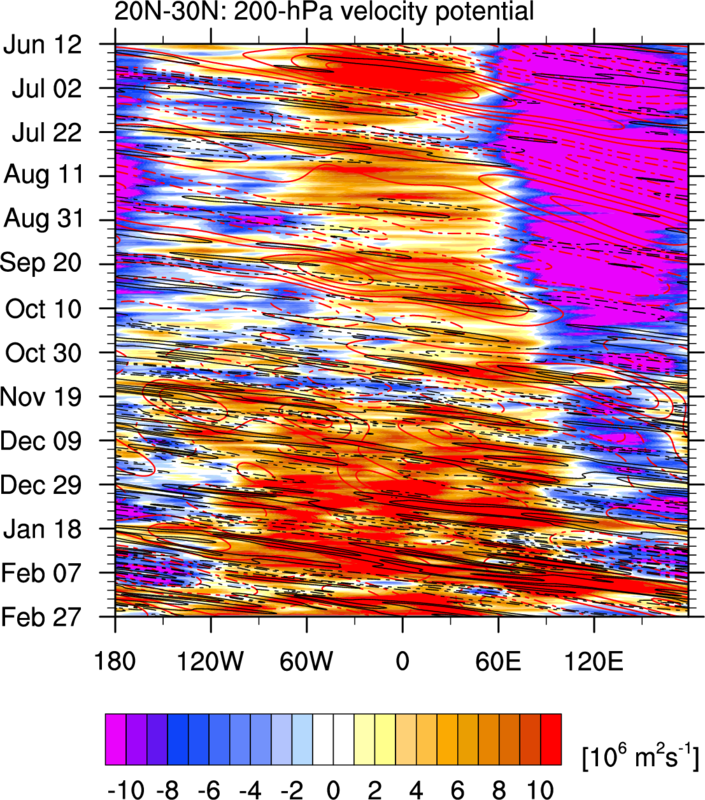 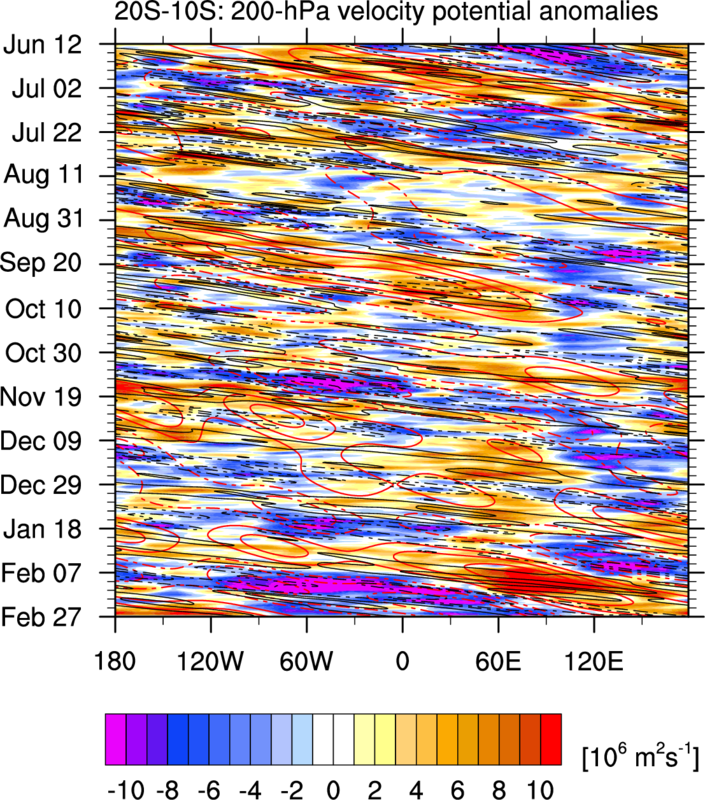 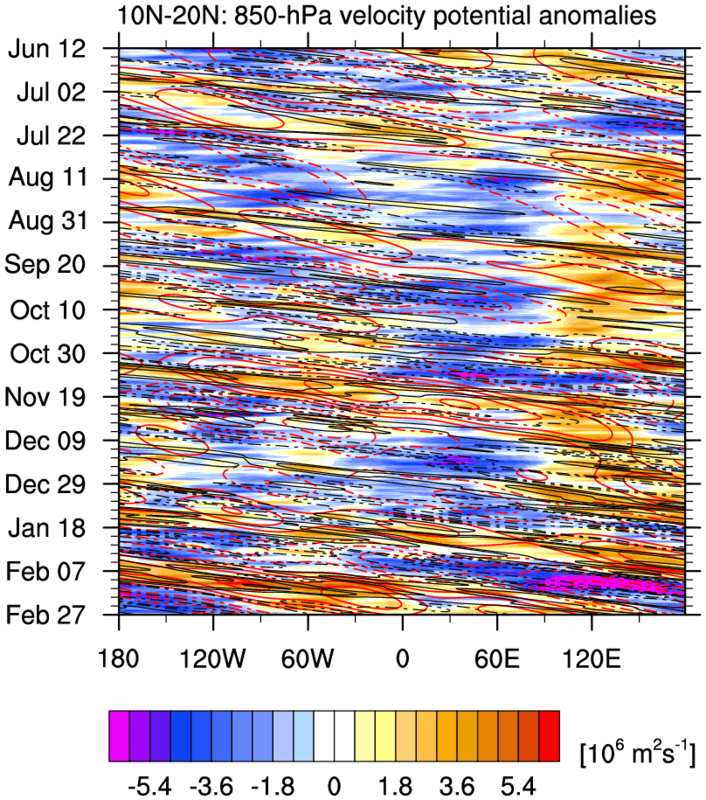 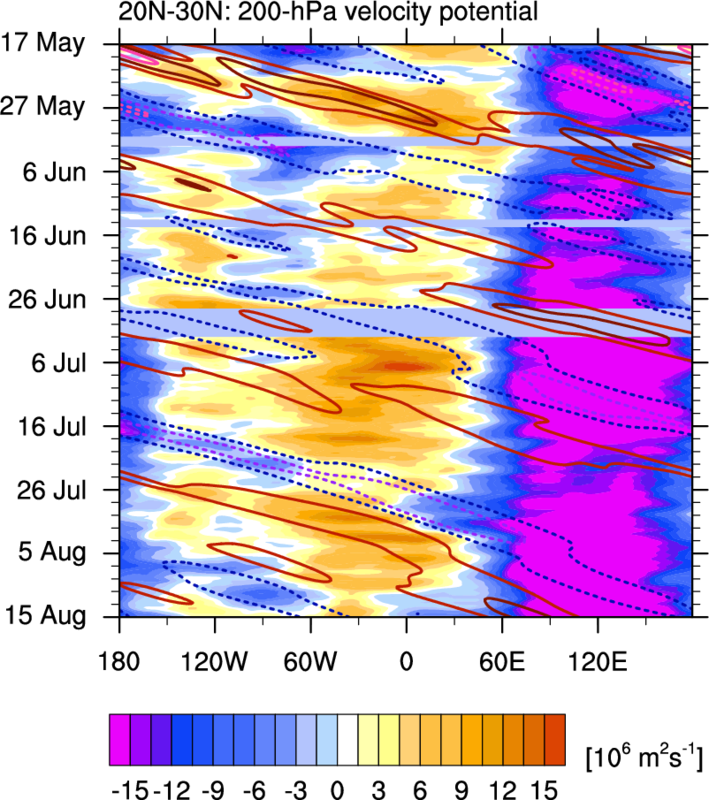 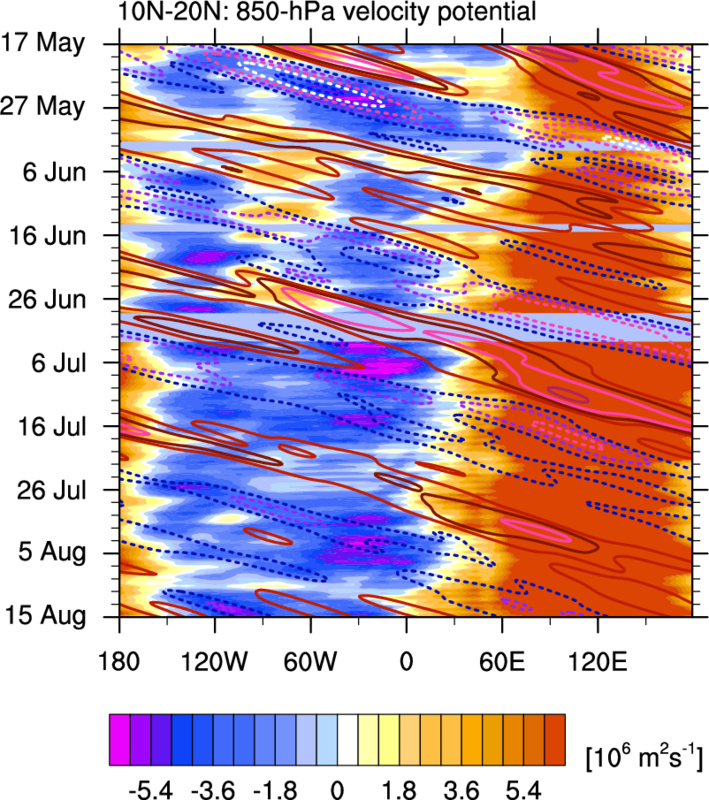 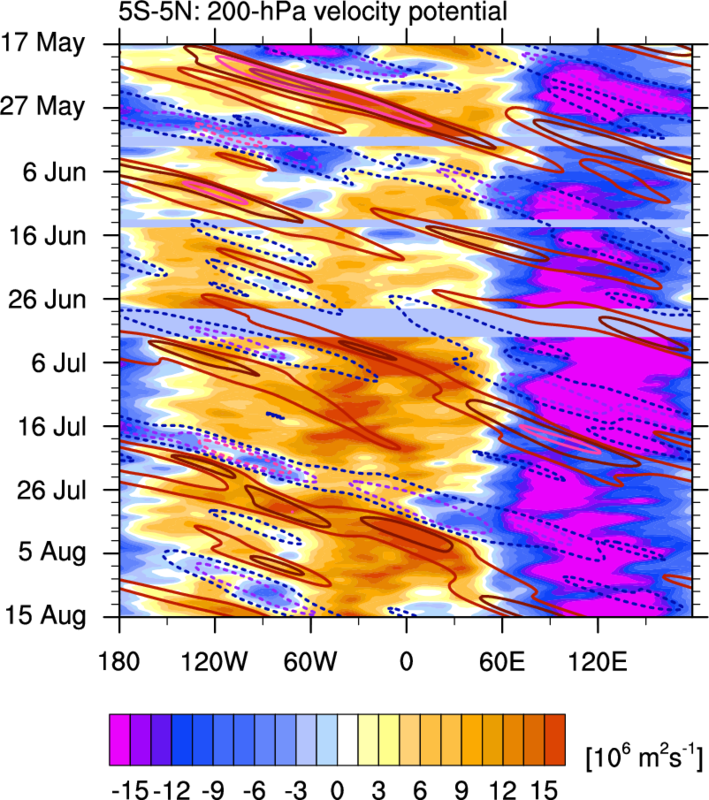 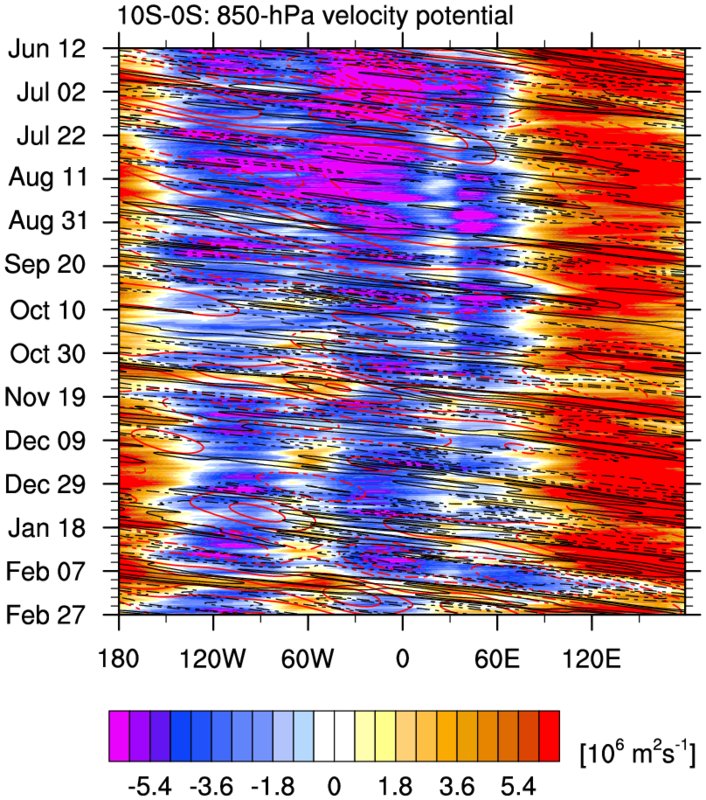 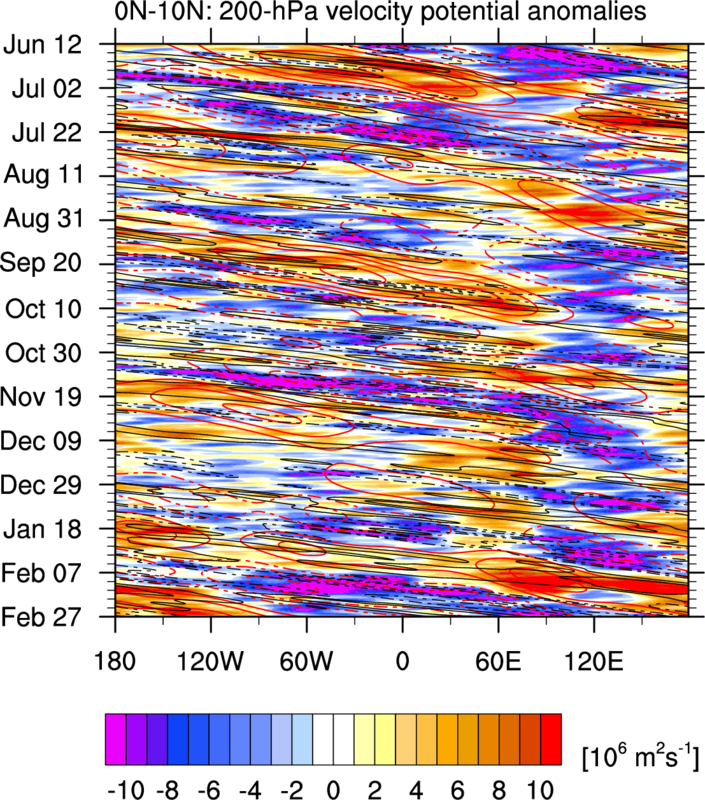 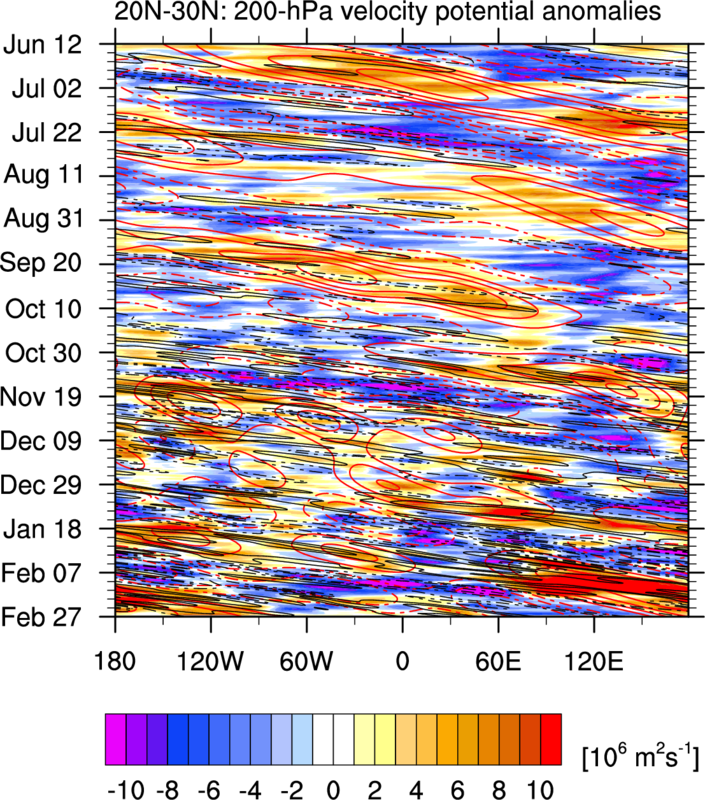 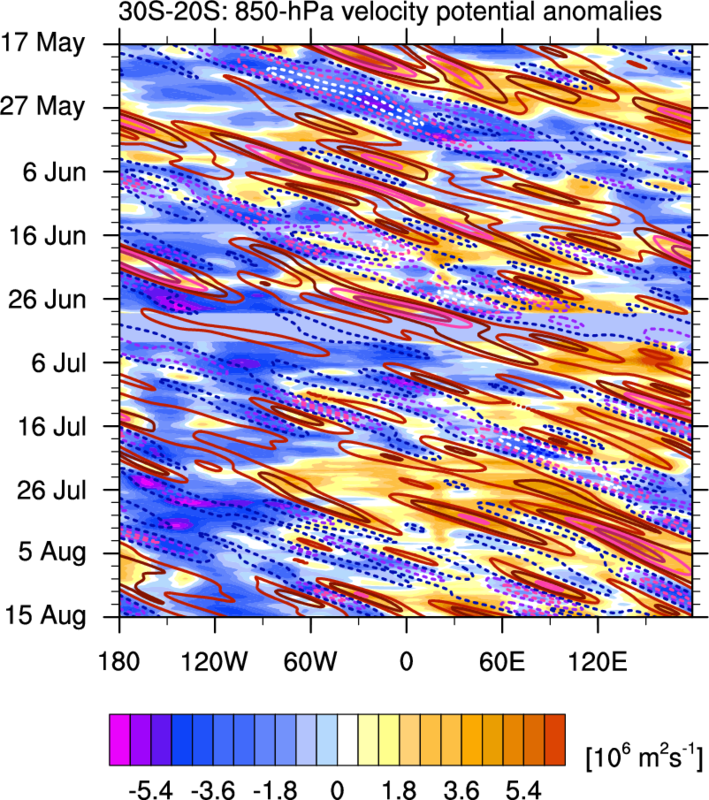 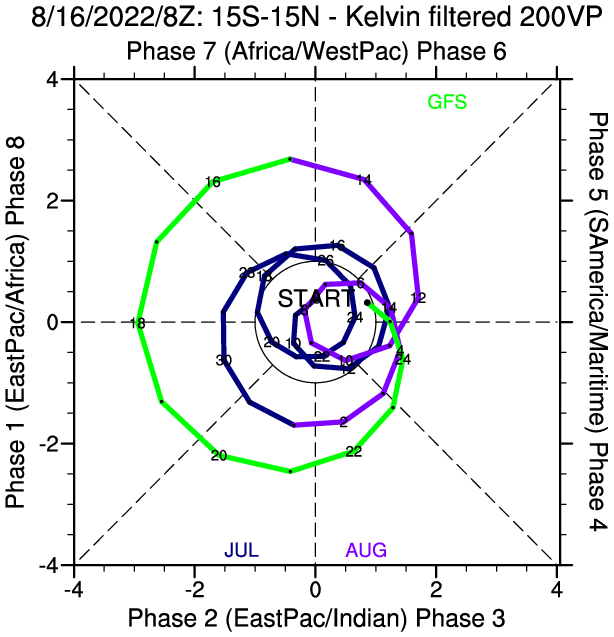 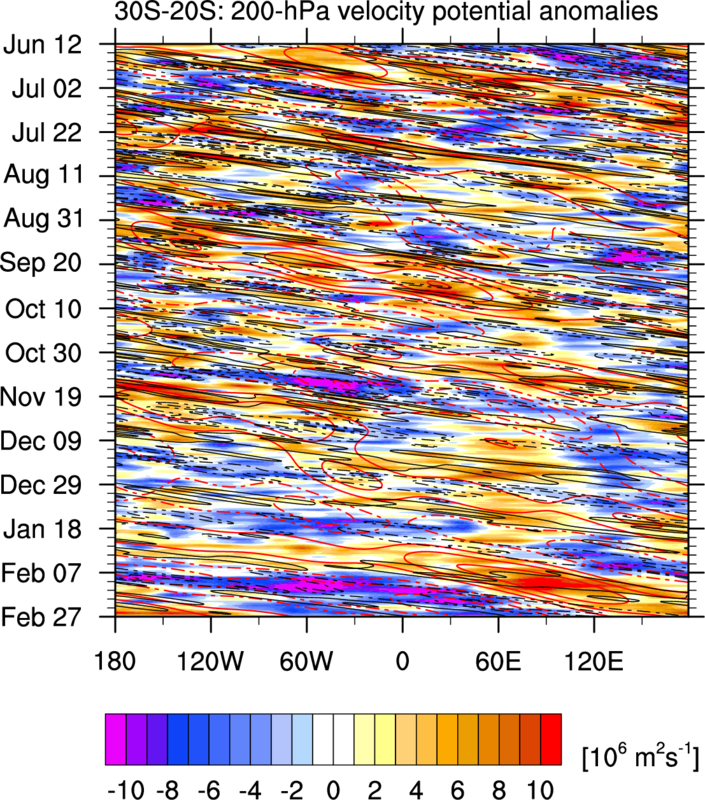 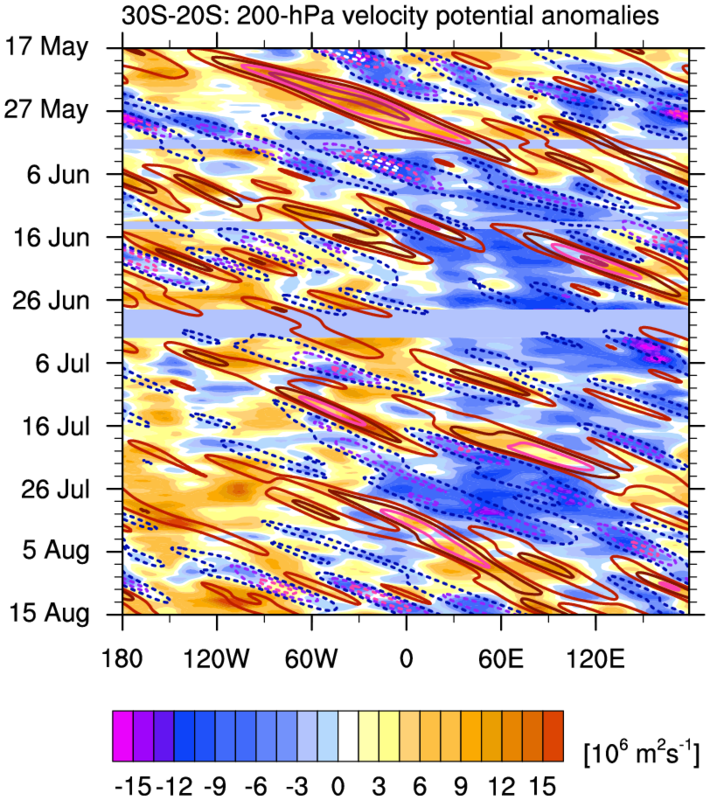 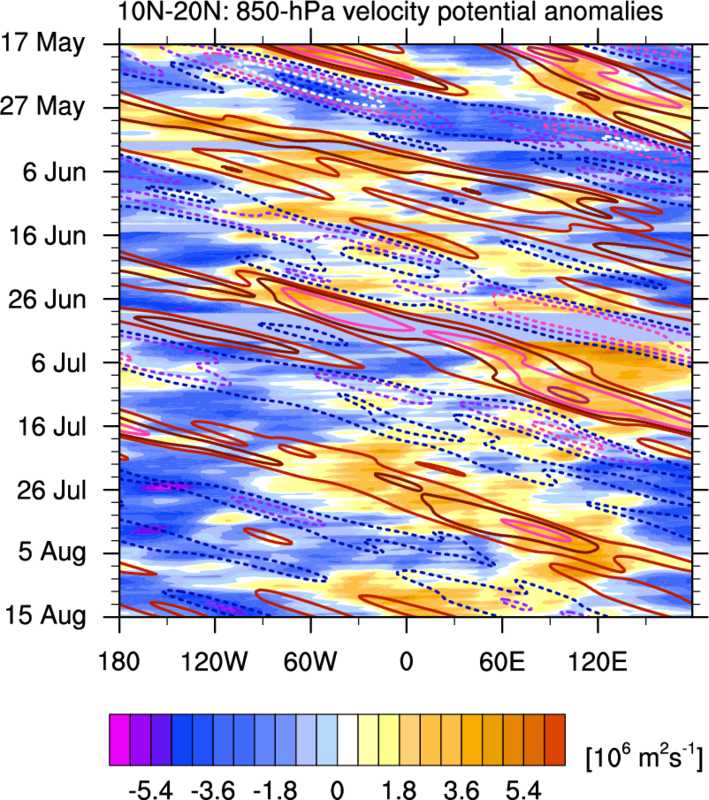 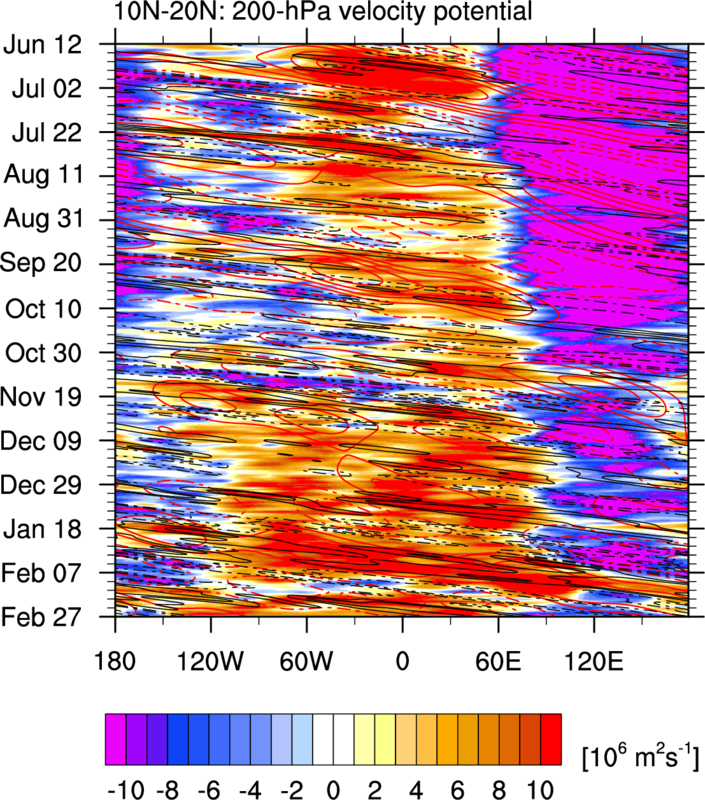 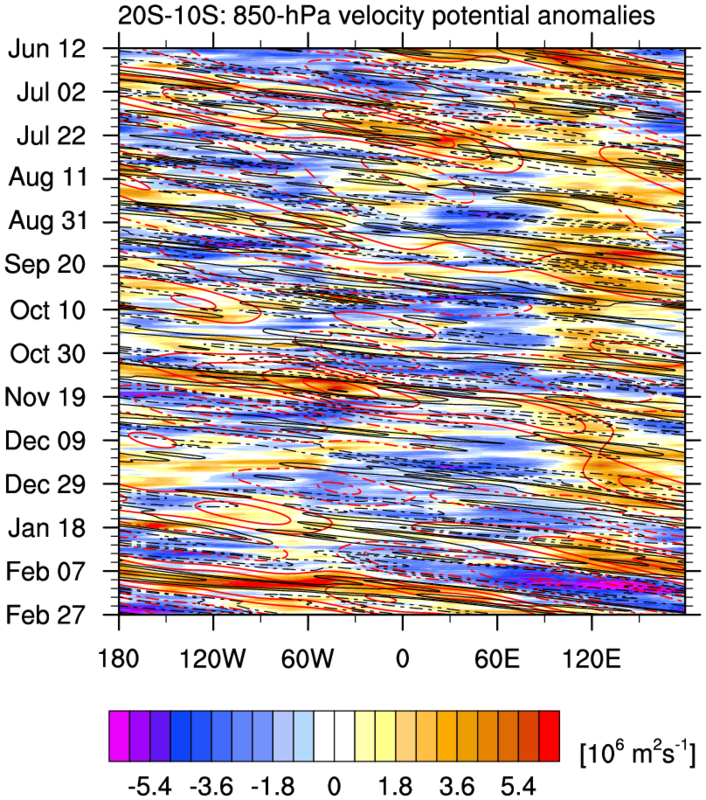 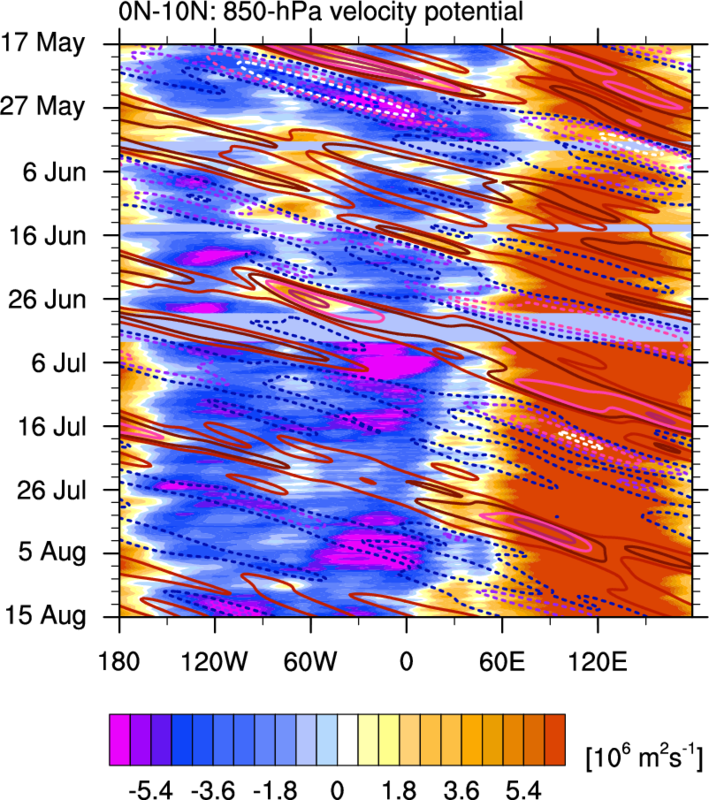 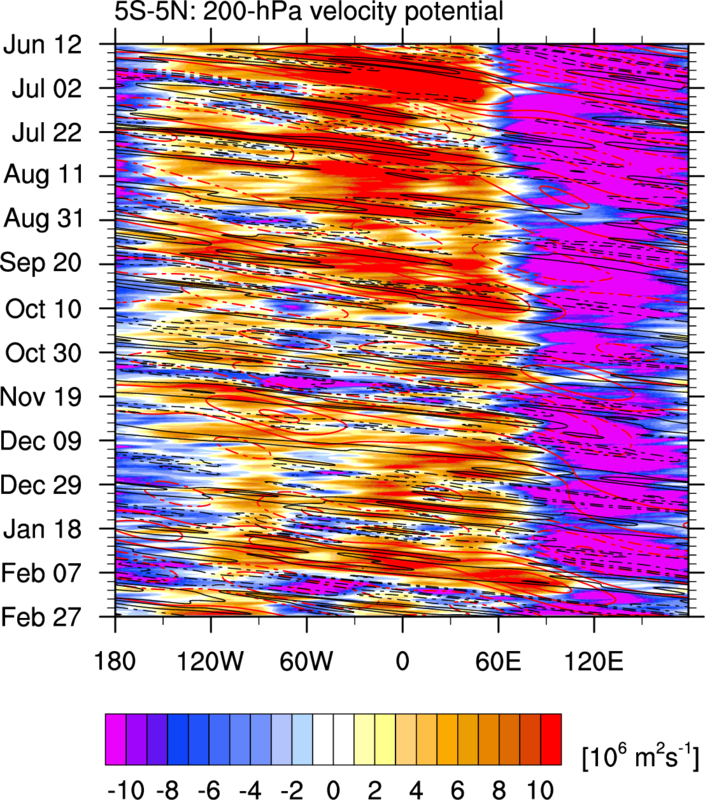 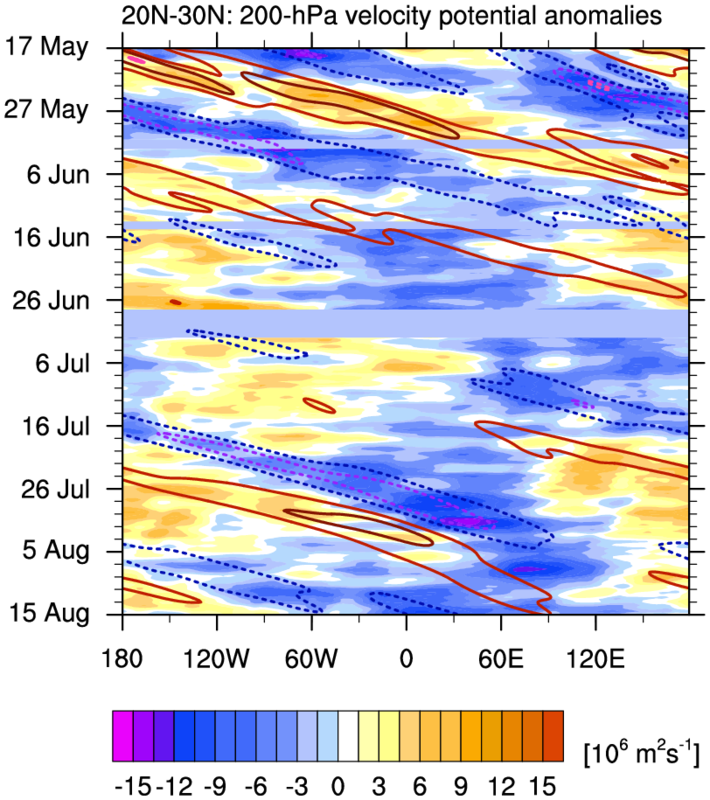 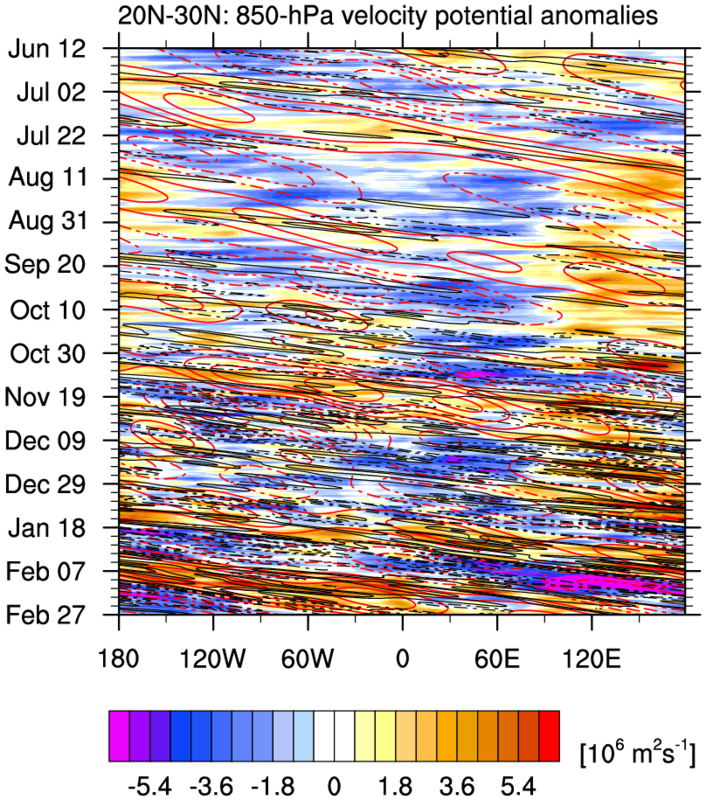 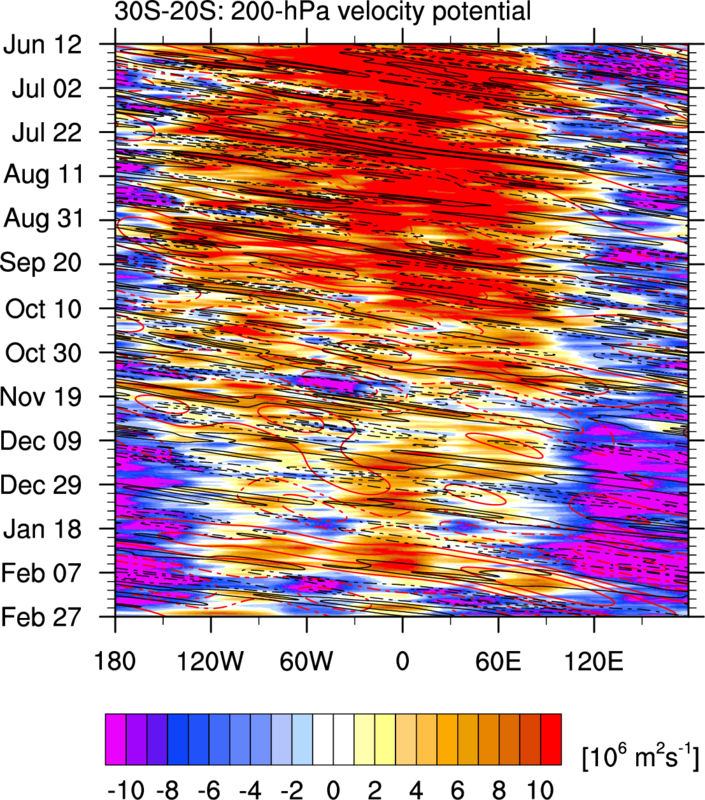 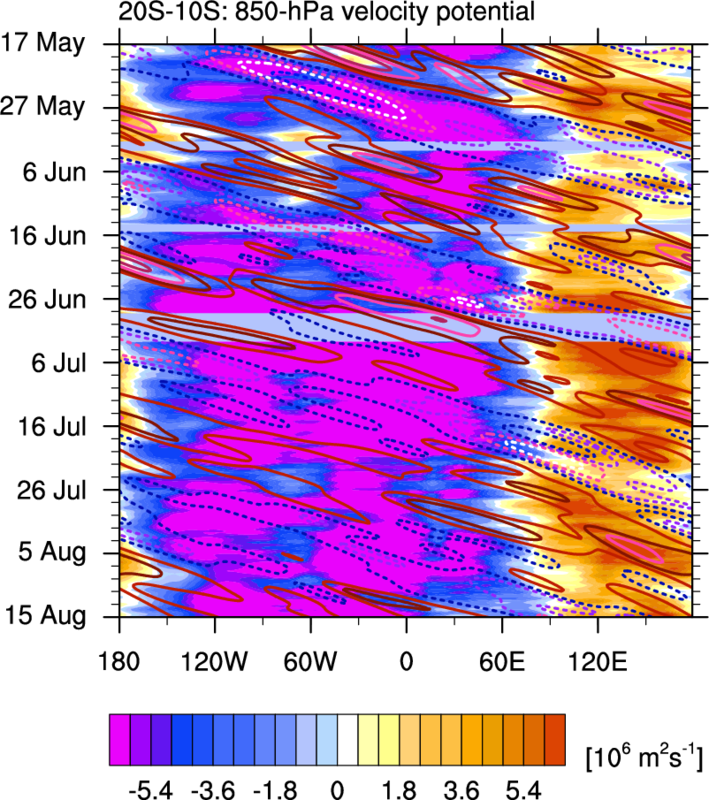 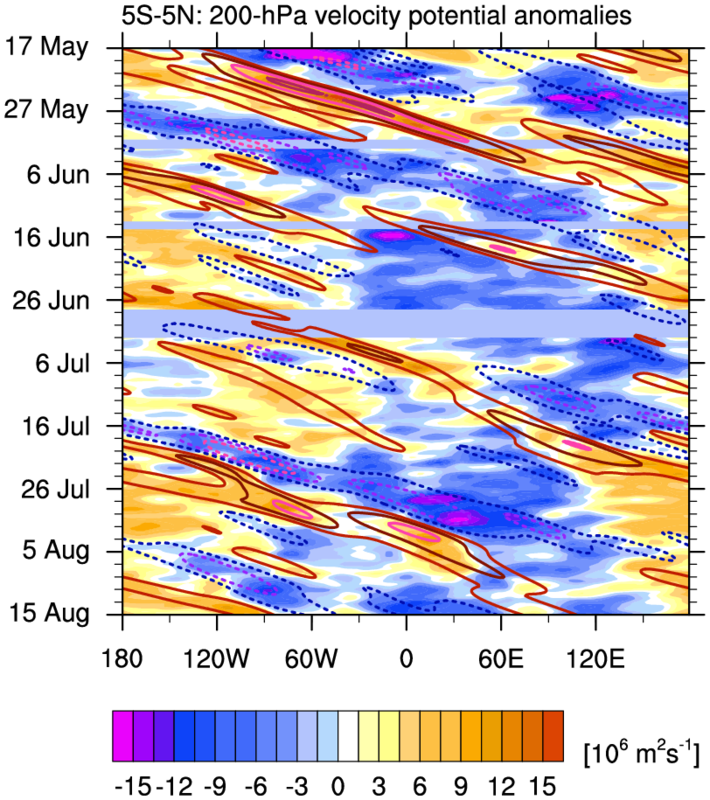 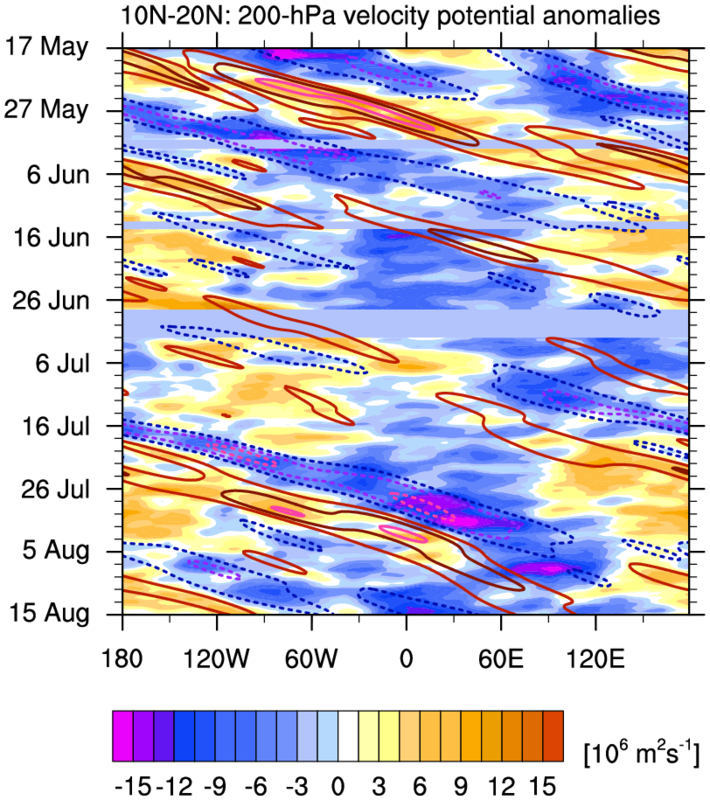 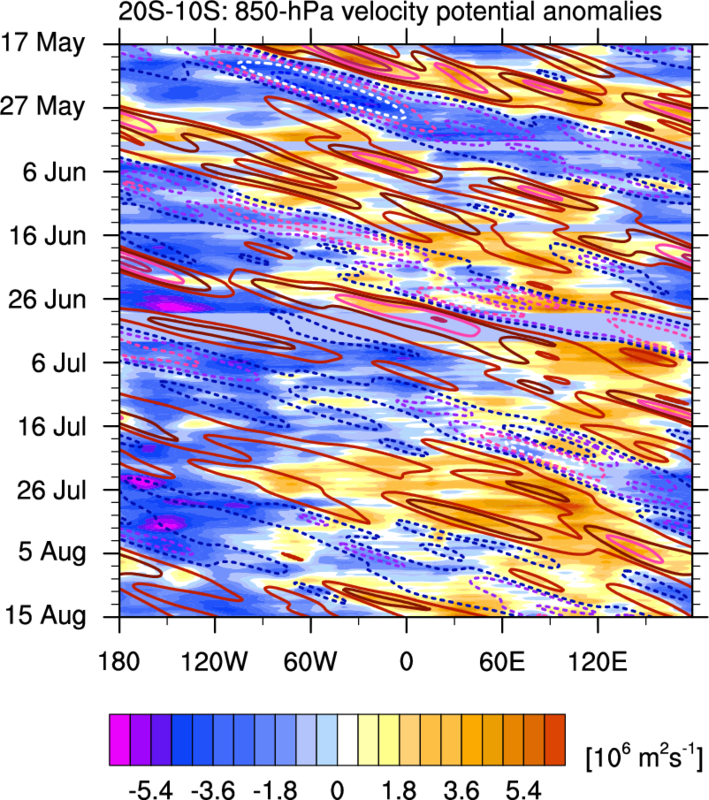 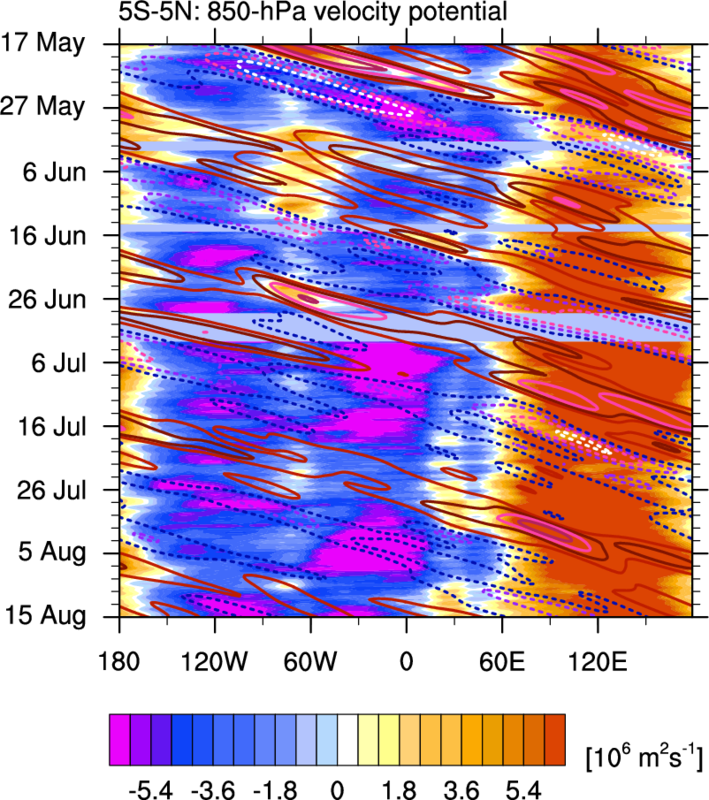 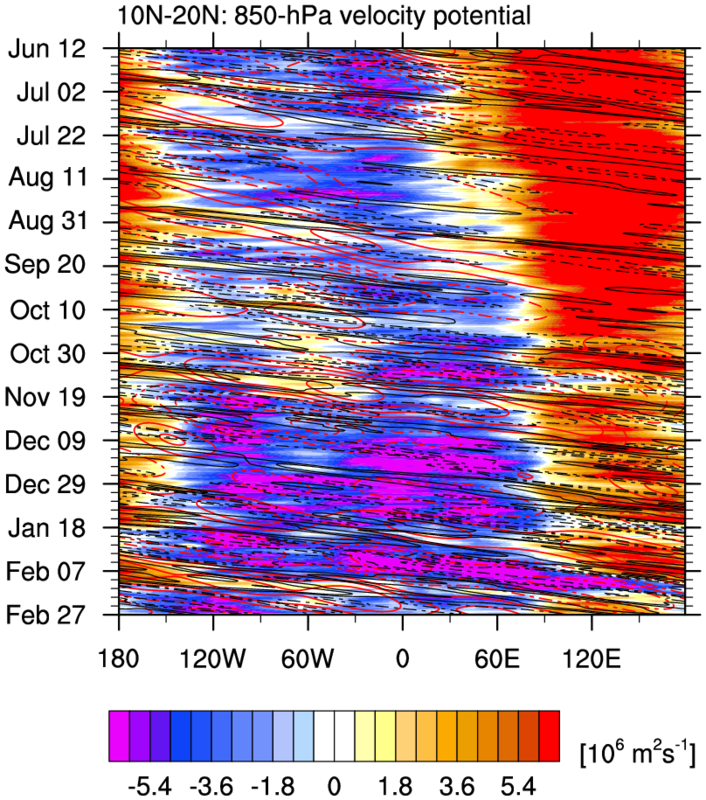 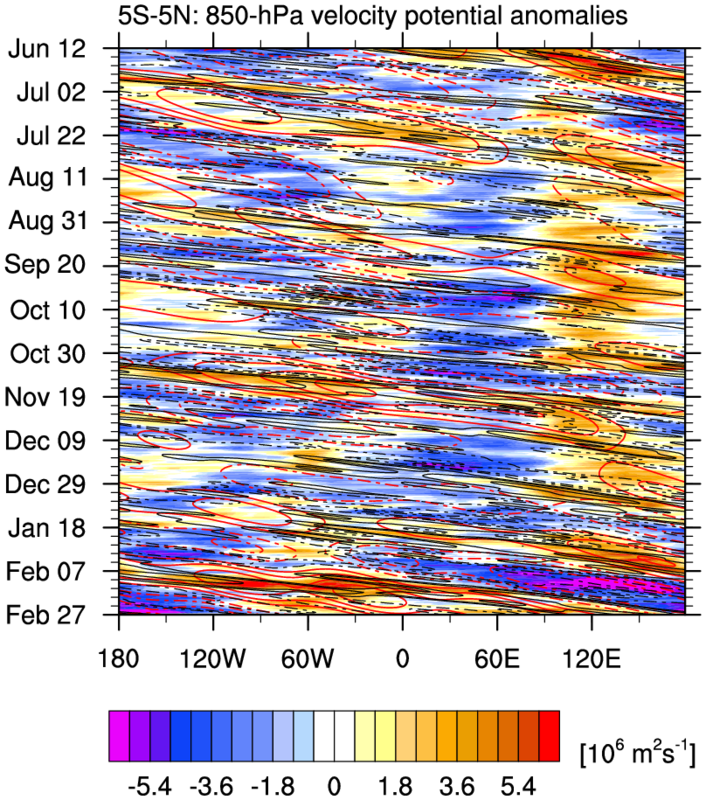 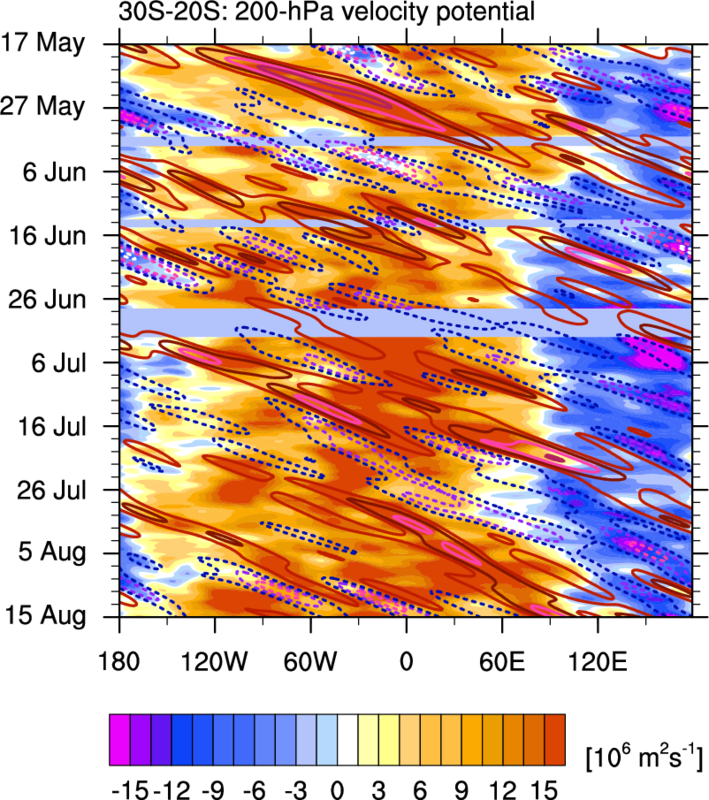 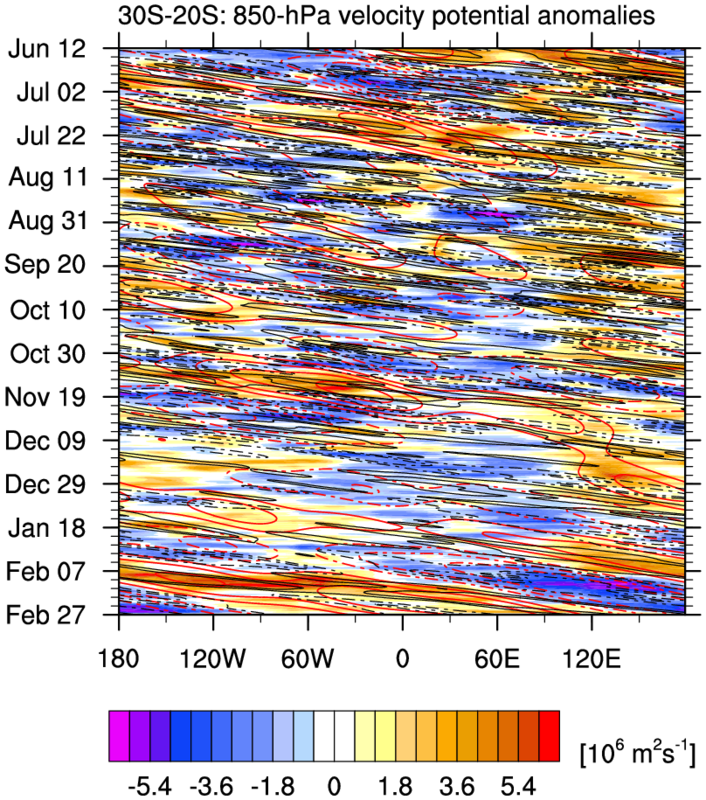 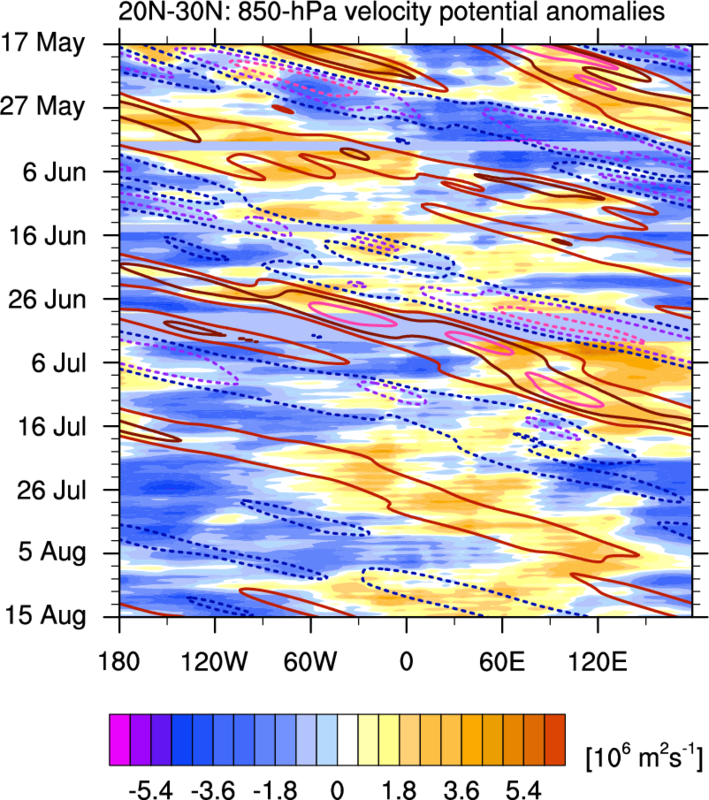 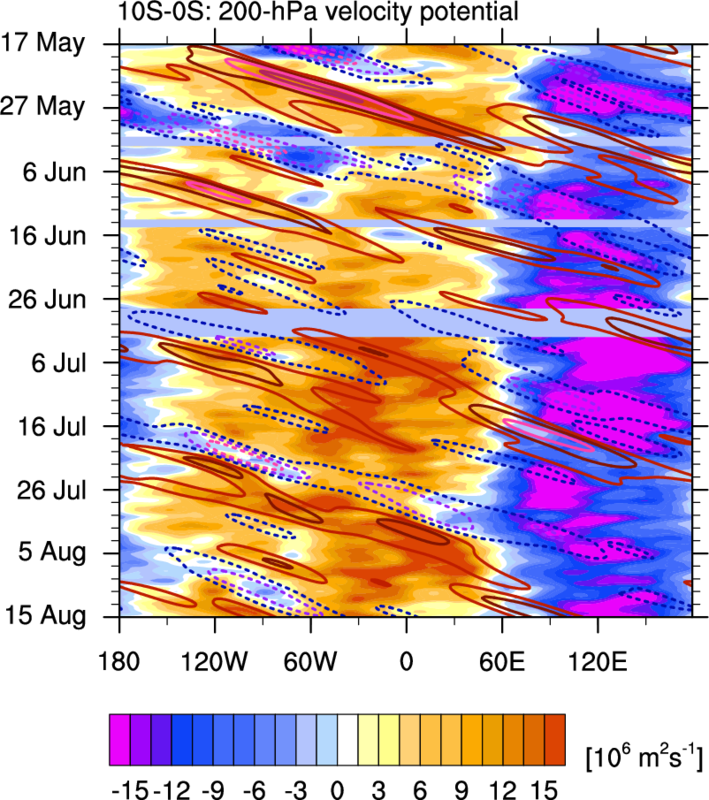 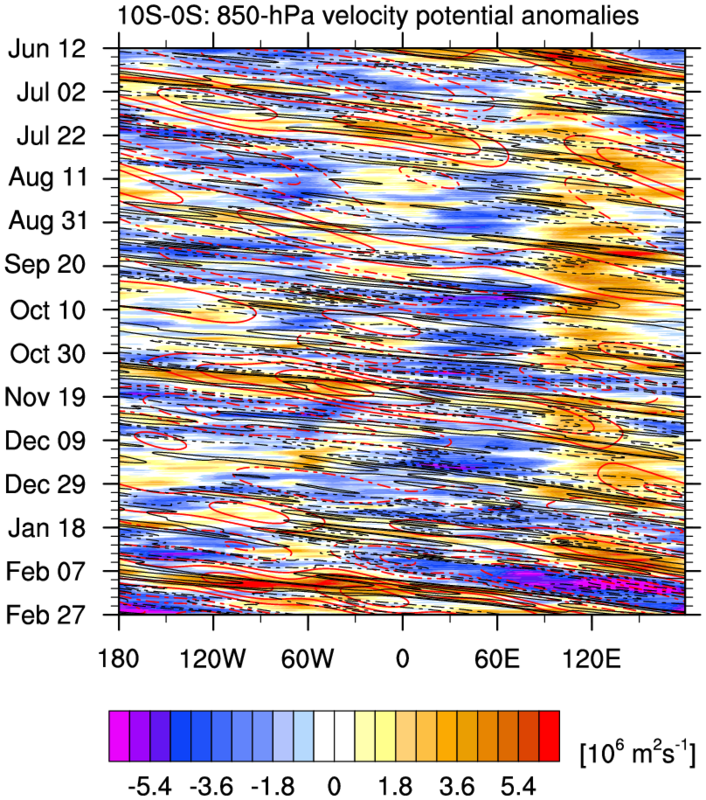 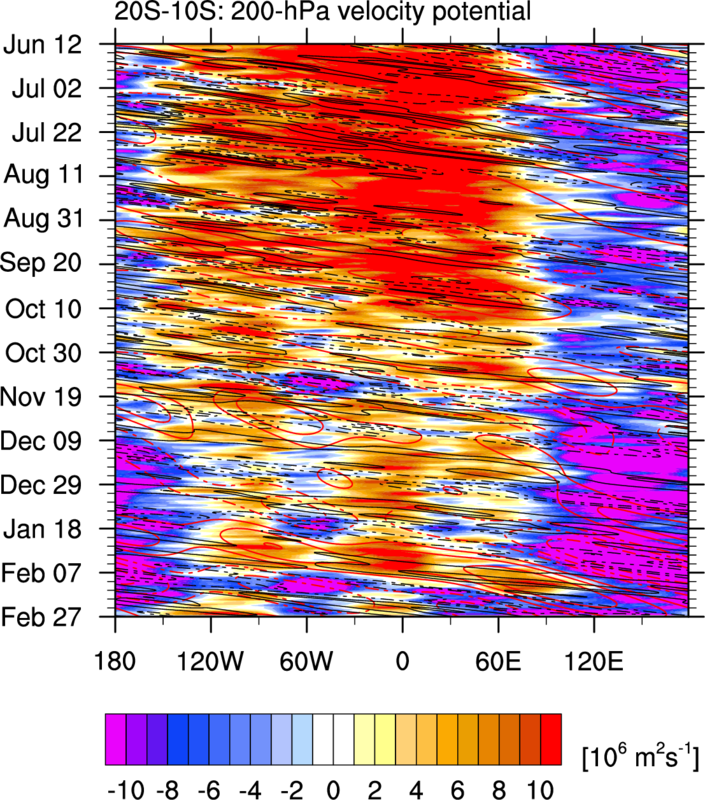 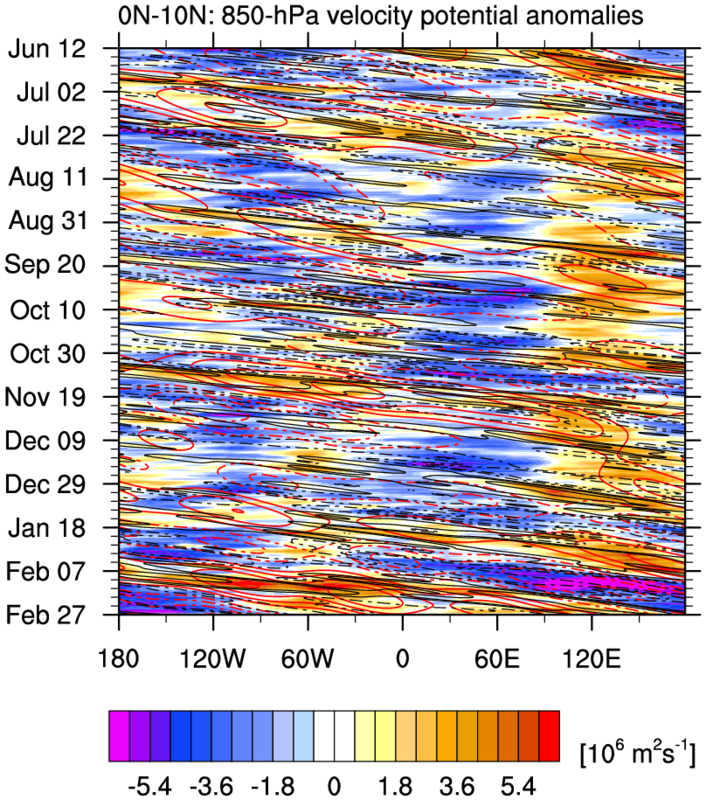 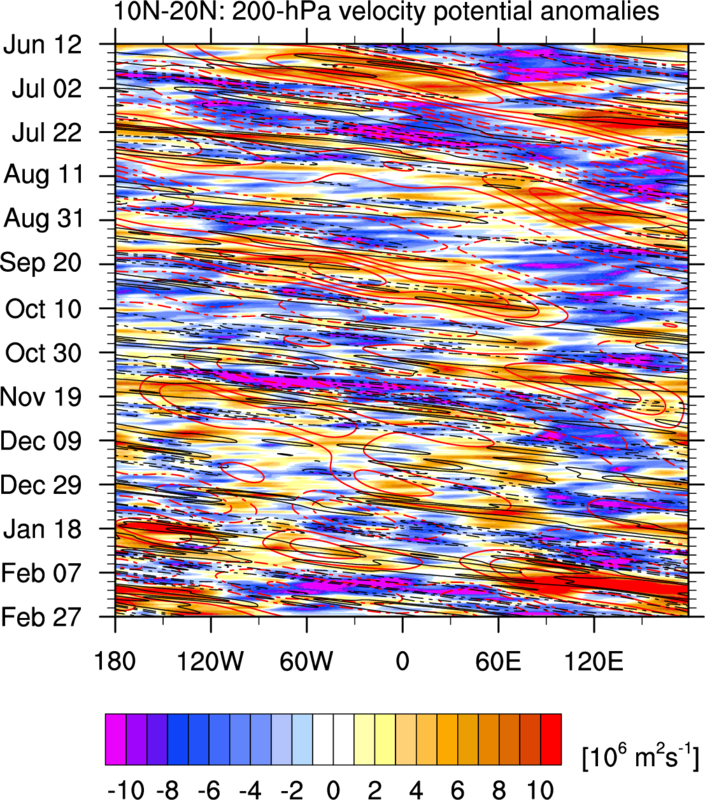 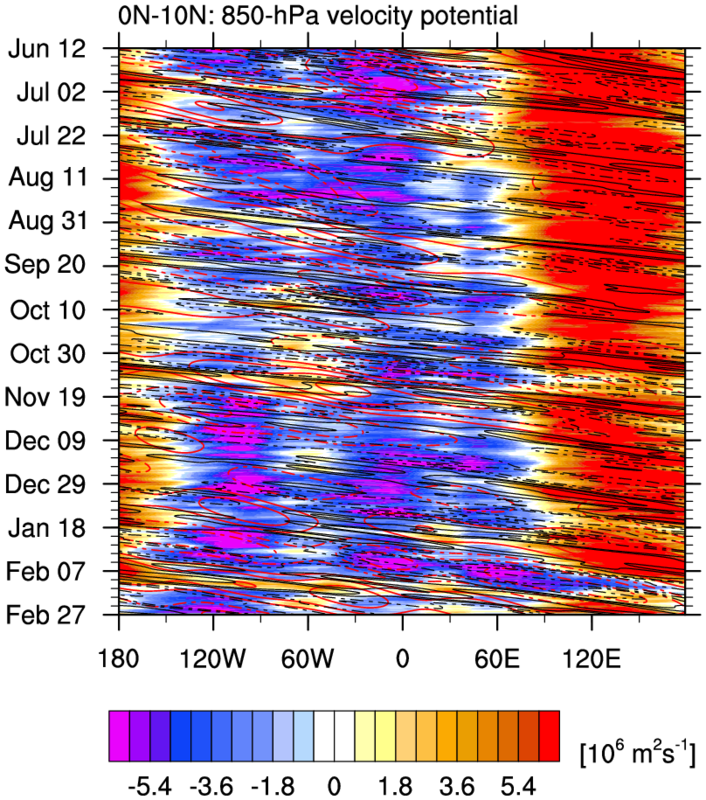 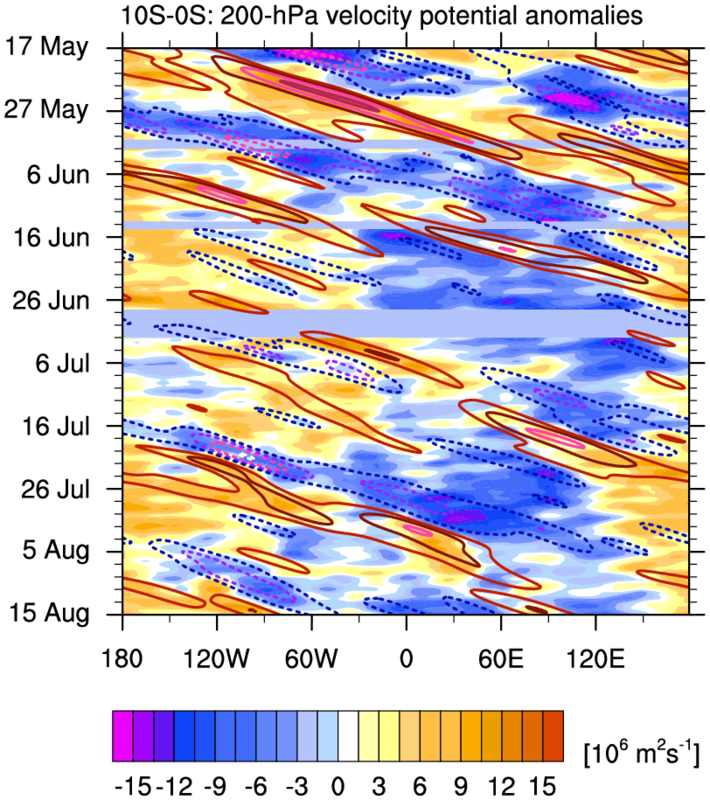 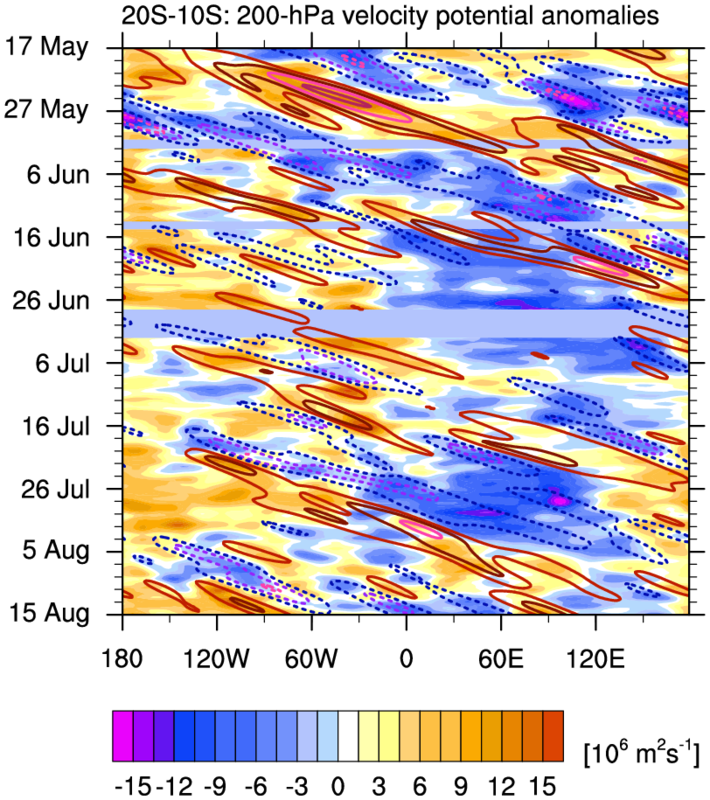 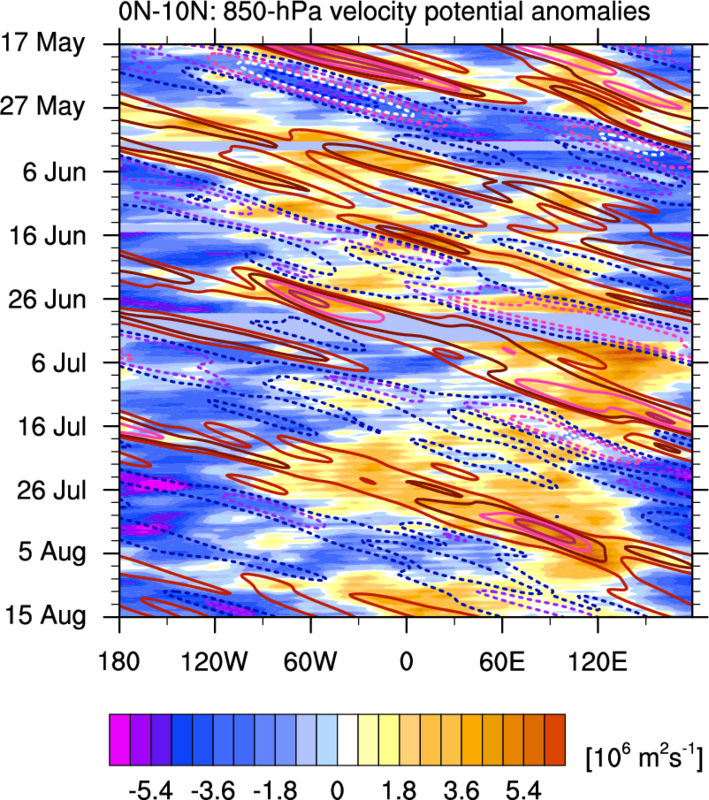 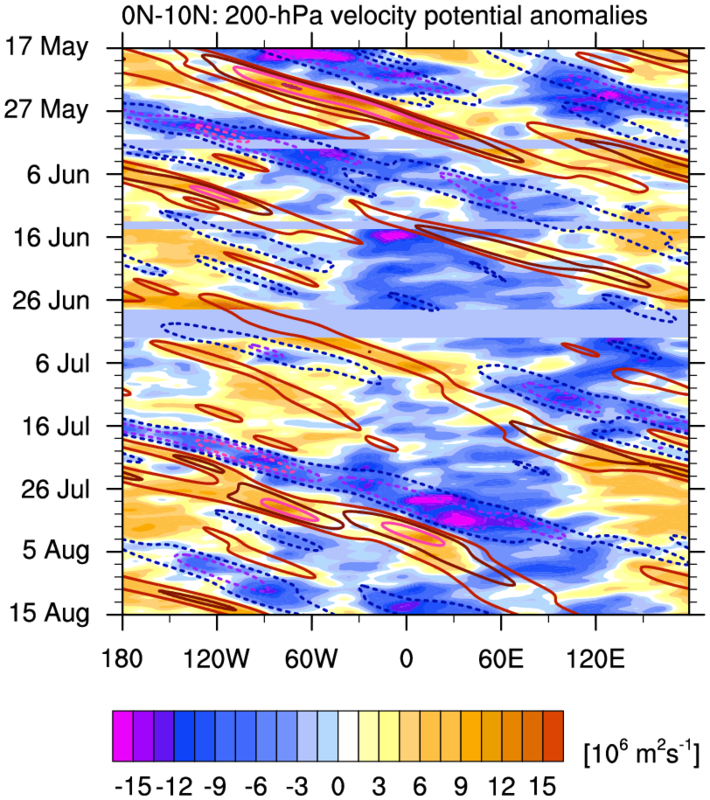 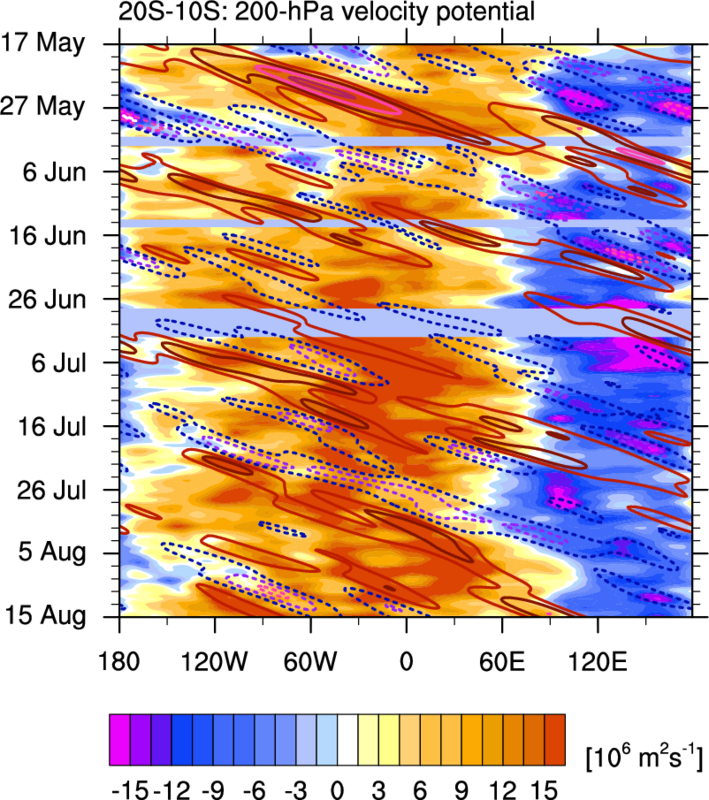 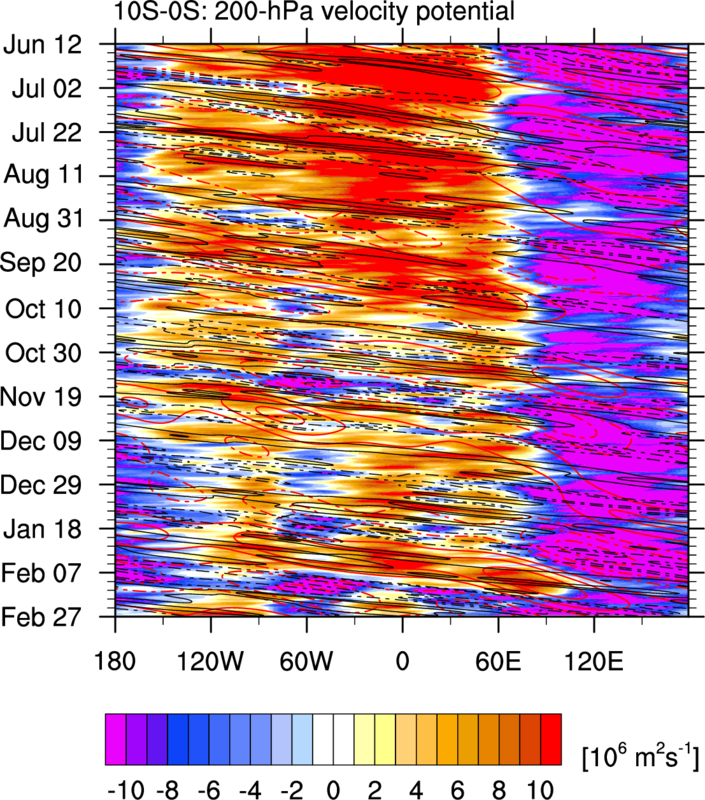 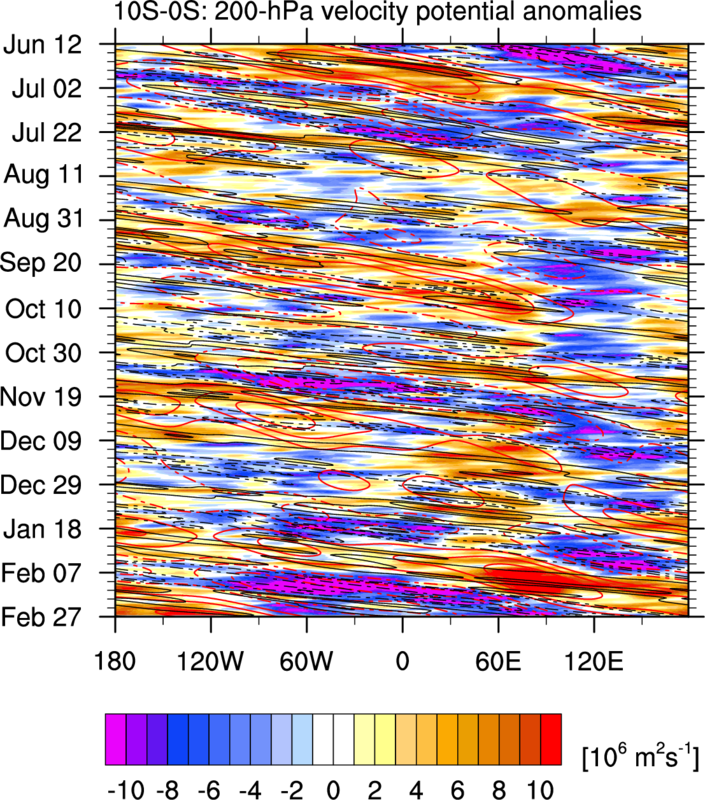 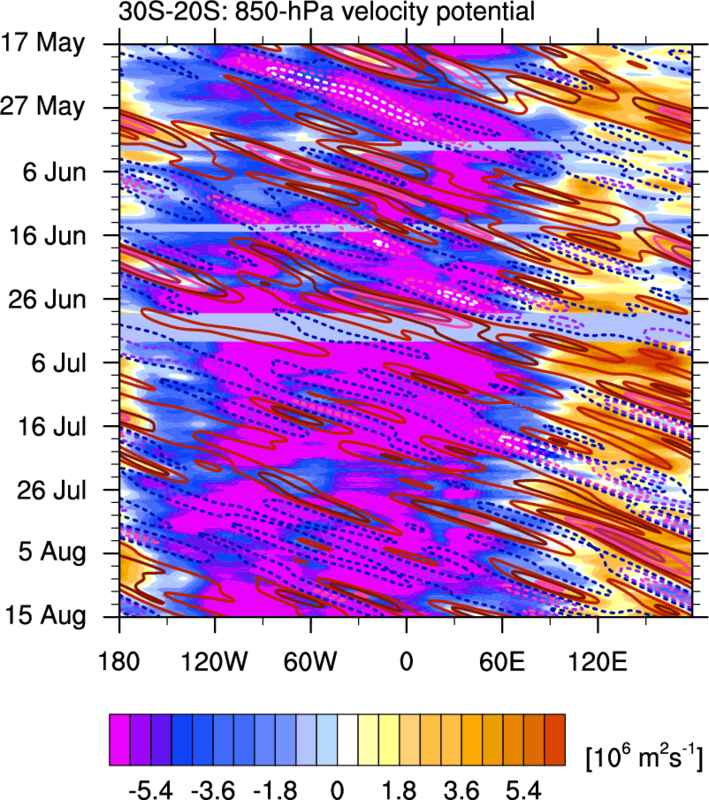 Convectively Coupled Equatorial Waves - Michael J. Ventrice, Ph.D.
To construct this diagram, the GFS variables used are anomalies of (Left) Kelvin filtered 200 hPa velocity potential; To see the variance of EOFs 1 and 2, click here. 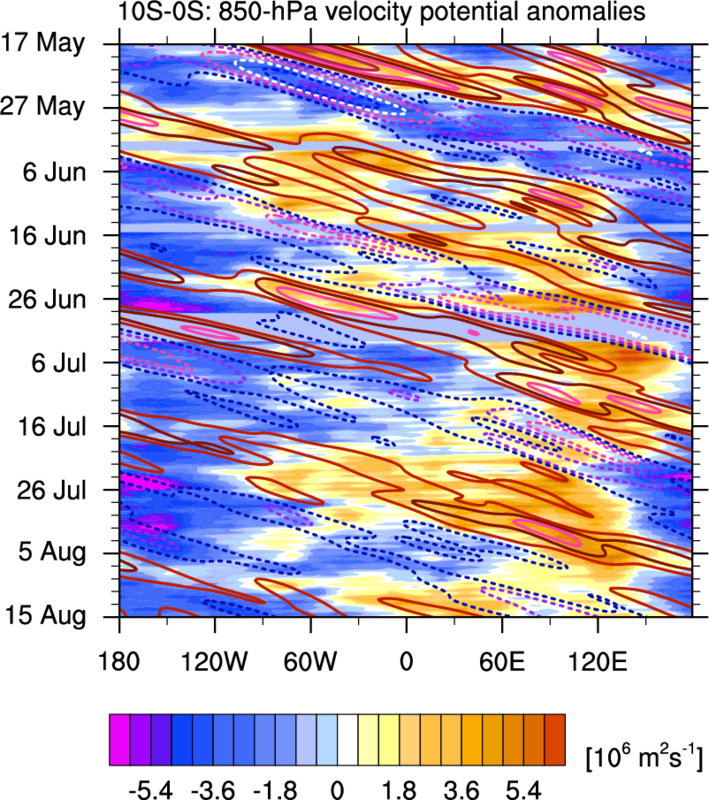 o Kelvin Filtering: Wave numbers 1-14; period of 2.5-30 days; equivalent depth of 8-90m. 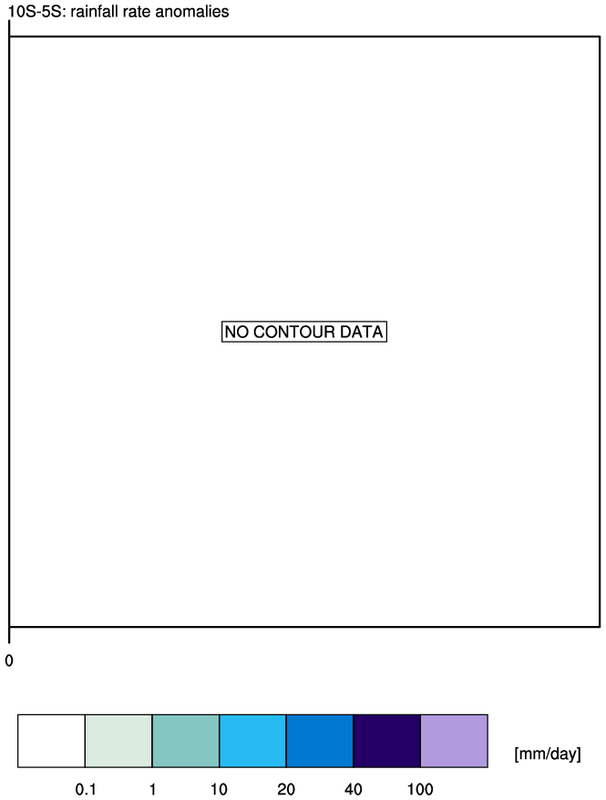 o Kelvin Filtering: Wave numbers 1->14; period of 2.5-30 days; equivalent depth of 8-90m. 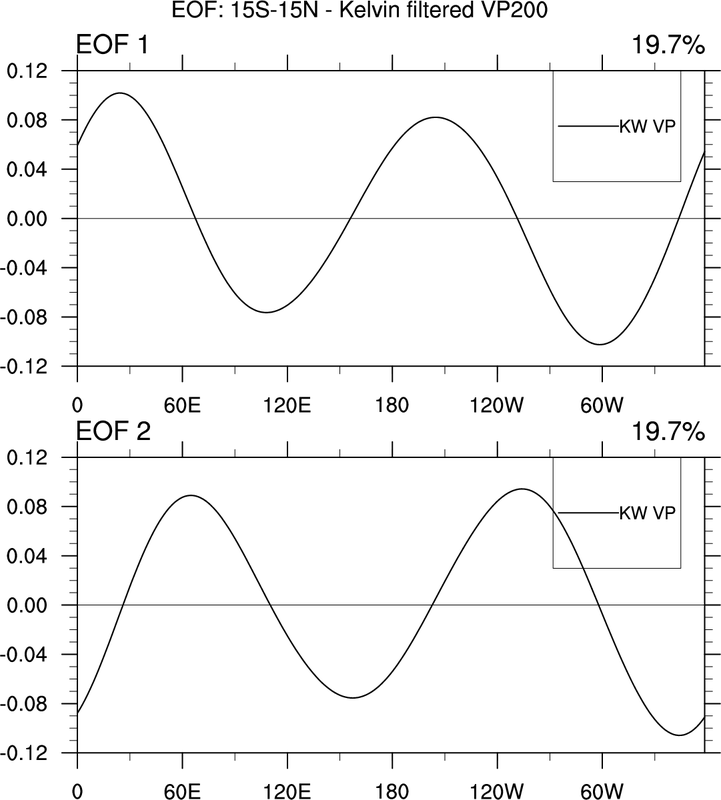 o Kelvin Filtering: Wave numbers 1-10; period of 2-20 days; equivalent depth of 8-mis.